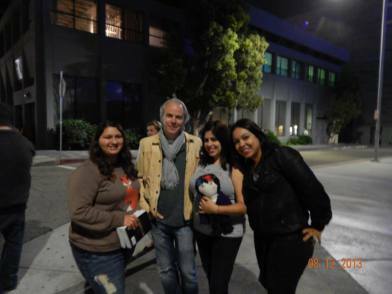 With Harald Zwart, the director of City of Bones, who came by the camp to bring everyone waiting out in the cold night soup! He personally unloaded soup from his car, and started passing it out! It was delicious, and SUPER awesome of him. - I agree. BEST DIRECTOR EVER! A surprise visit in the morning by Kevin Zegers, who came by to bring the campers his favorite cookies. "It is a seriously blurry picture but its one of my absolute favorites. 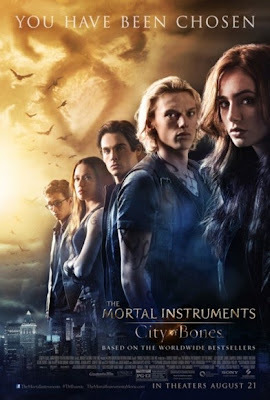 Jamie Campbell Bower, who plays Jace Wayland (my number one fictional crush!) 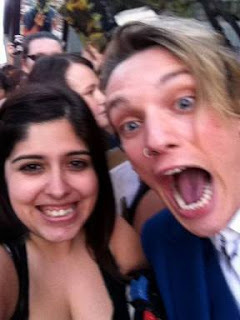 has the BEST face in this picture and I look so incredibly happy, because I most definitely was!" DITTO ME TOO! "Cassie and I for the millionth time. 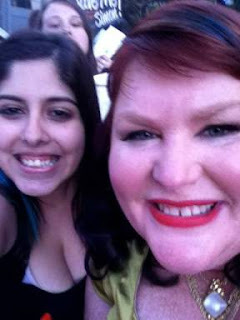 She remembered me, which pretty much made my whole life. I love this lady, and I adore her books. 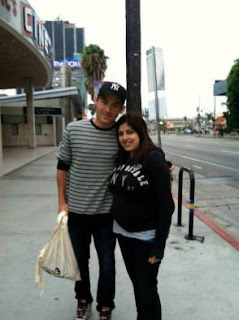 I also got to meet her husband that night as well, who was SO cute." Adorable! 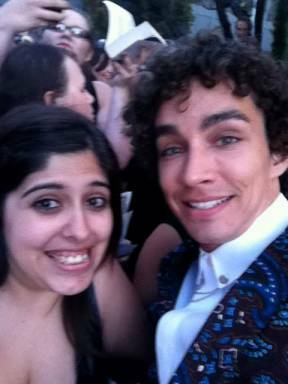 "I was finally able to meet the gorgeous and talented, Robbie Sheehan, who plays Simon Lewis in the movie, but also plays Nathan Young in Misfits! I know he’s a huge flirt, but I couldn’t help but sigh a little when he said “Of course, love” and had his arm around me. My goal was to meet him, and I did" SIGH. SO JELLY. "There is SO much win about this photo. 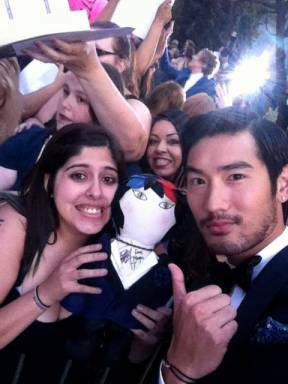 I kept yelling at Godfrey Gao, who plays Magnus Bane, to come over because I had the doll and his publicist noticed, and guided him straight to me. He signed the doll, saying that it was SO cool, and the grabbed my cell phone and took this picture. It was SUCH a happy moment for me. Later, I noticed Jane had photobombed in the best way possible!"